Once upon a time, there was a girl who loved stories. She was an odd girl of sorts, hosting tea parties in her room with teddy bears; her mind enveloped in romance and happy ever after’s. Who would still hand write letter’s and make wishes on shooting stars. Once upon a time, that girl was told that her ideas were foolish as the lies, pain and deceit chiseled its’ way inside of her. Chipping away at her heart and beliefs. Her dreams of color, faded to black and white. Her lungs stained by hands that shouldn’t have been there. What do you say to a girl who had lost hope? Once upon a time, there was a boy who lived 3000 scar tissues away. Nameless and faceless; a passing ghost that had found refuge in the mind of a girl whose vision mirrored his own. And as the days elapsed, the phantom grew more tangible. Once upon a time, that boy saw a girl whose heart was splintered and irreparable. So without thinking or hesitation, he gave her his. And as his heart pumped faith back into her body she asked him, “où as-tu été pendant toute ma vie?” Where have you been all my life? To which he responded, “simple, j’étais à la recherche pour vous.” I was looking for you. Oh! You touched me with this one! I LOVE it! This is great. But I need to let it sink in before I can find the right words. OK, I’ve slept on it and have read it twice more, and I think I’ve found some words. First, this is a happy post. Who doesn’t like happy? But then I realized that while you write about a boy and a girl, you are really talking about adults. There is the surface happiness that grew from shared hope fulfilled, but I also feel a deep feeling of contentment. That is a more adult feeling that satisfies the soul. Thanks for this post. I write it from that perspective because children are often more innocent in their thoughts and beliefs. Things get kind of muddy as we get older and some experiences change us. The happiness is something I didn’t think I’d find again, but sometimes life can hand us a fairy tale after all. Thank you for your thoughts. A flower has bloomed, and it’s brilliance puts colors to shame. Une fois sur une journée, j’ai entendu un oiseau chanter et mon cœur a été voler depuis. Love this. And it’s soaring to great heights. It started from letters written to me in-between flights over a year ago. Aviation Mémoires: Genesis, was the initial story. Was supposed to be a short two-part series but I decided to continue it further. Dig this but I especially liked the part about the guy – 3000 scar tissues away. It speaks to me very loudly. Part of the title to my favorite Red Hot Chili Peppers’ song and actual mileage. Thanks Don. I love the message my sister! Hugs to you for always making me smile! Blessings! 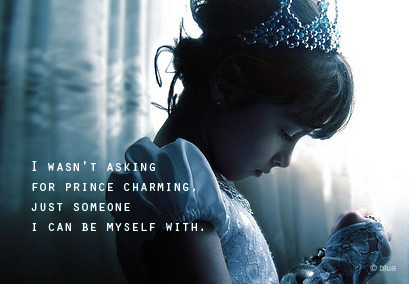 I believe in fairy tales : ) Beautiful, absolutely beautiful!